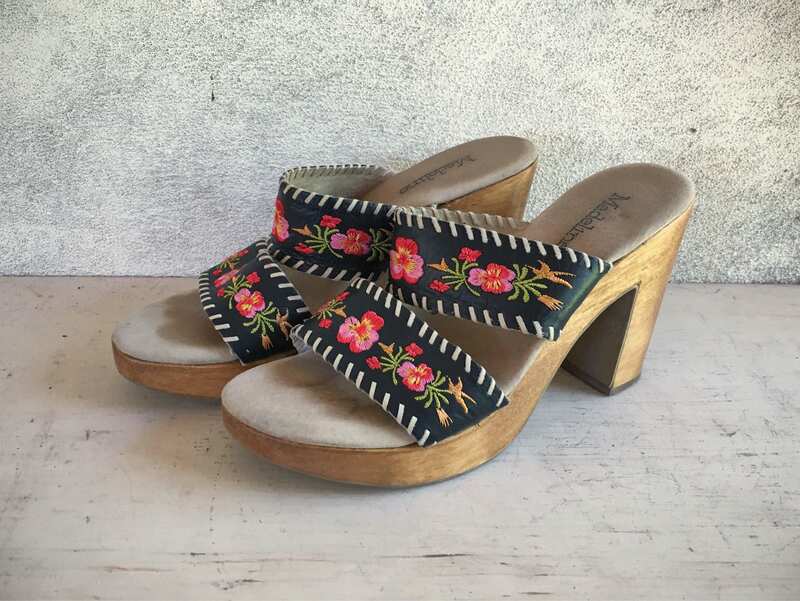 These days most wedges are made of some newfangled plastic material, and so whenever I see a pair of sandals with wooden platform heel, I jump on 'em. (But I don't jump IN them, because that would be dangerous.) 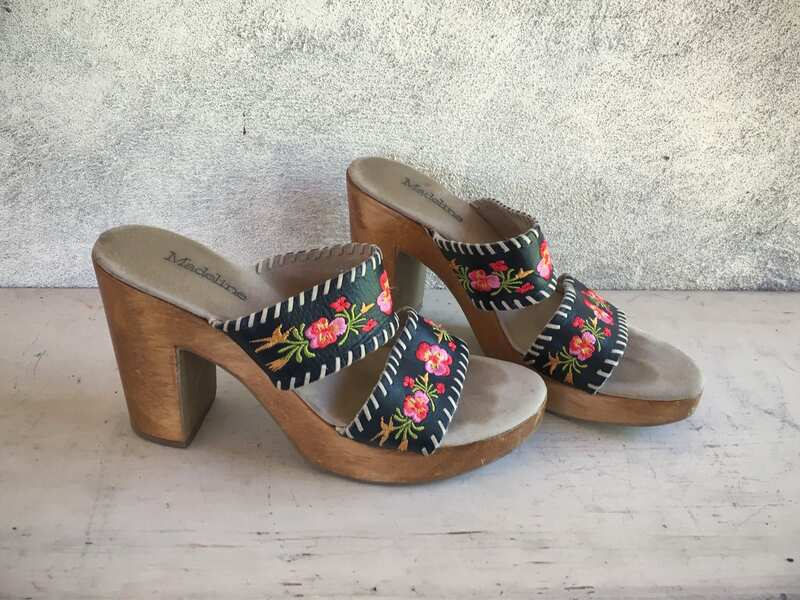 These sandals are made by Madeline, a company founded in the year 2000, and the sandals are likely releases from that decade. 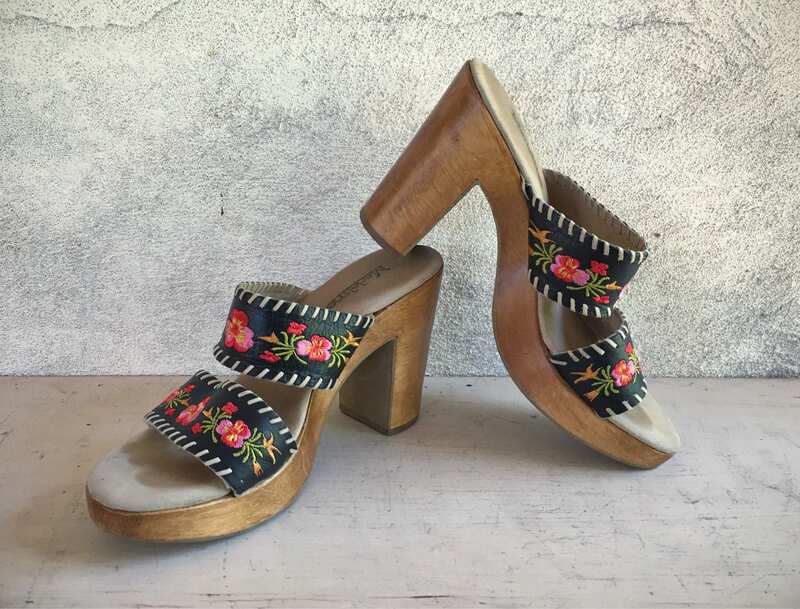 Made in Brazil, in Women's Size 8 M. I love the combination of pinks and corals and oranges and green embroidery and the retro heavy stitching in a light buff color along the edges. Seem to fit pretty true to size. 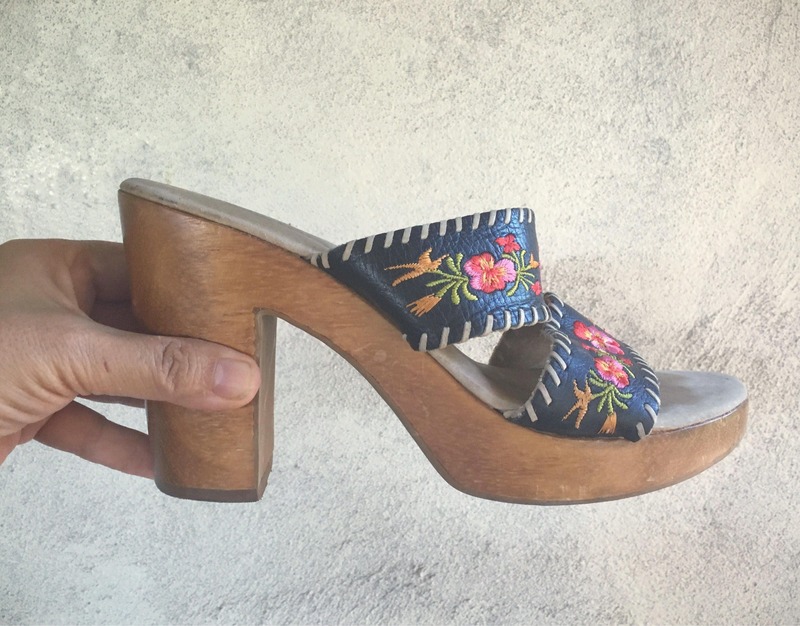 The one caution is that if you have a high arch, you might not be able to fit your foot through the top strap. Soles are in great condition. The foot bed has plenty of wear over the years, yet plenty more to go. 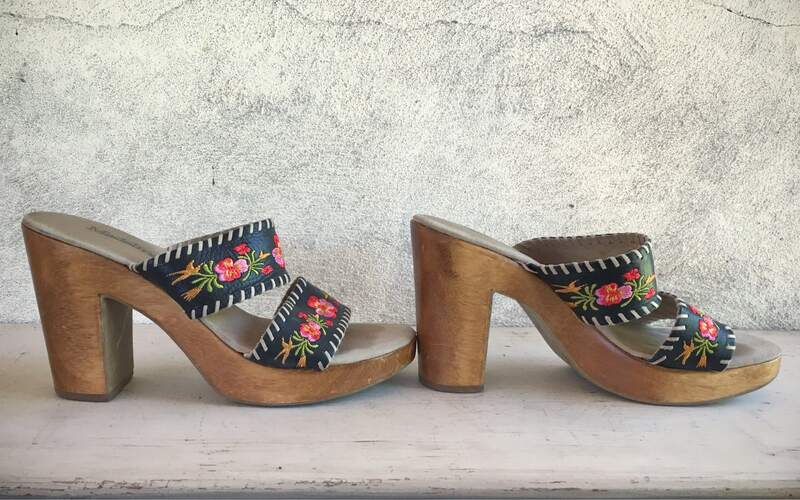 Boots may be made for walking, but these platform sandals will have you walking TALL! 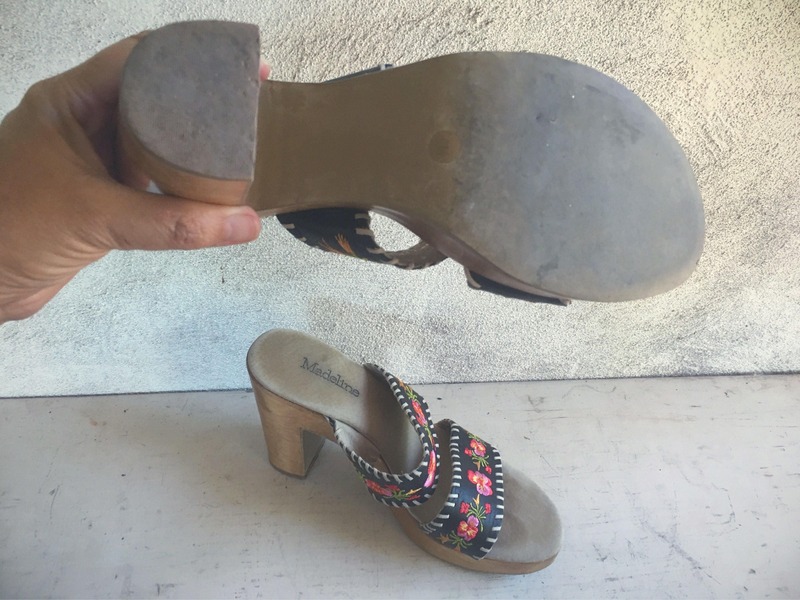 Heel height: about 4-1/4" from the heel bed to the bottom of the rubber cap, with about a 1" platform.